When it comes to zoos and wildlife parks, Austria has a lot to offer - not only a nice variation of different types of zoos, but also the oldest in the World that is still running in more or less its original location and state. Now, being a zoologist myself and from Salzburg, it is my proud duty to inform you that despite of evil centralistic propaganda, the zoo of Vienna is NOT the oldest in the World. In fact, zoological gardens in the modern sense were a Baroque passion first developed in Italy, where no zoo has survived in its original Baroque setting. The oldest one outside of Italy is - like so many other Baroque things - in Salzburg. Keeping animals in captivity started there with a deer enclosure for the Prince Archbishop in the late middle ages; based on that, a "Fasanerie" ("pheasant′s ground") and fancier enclosure for deer and alike was built in 1612. 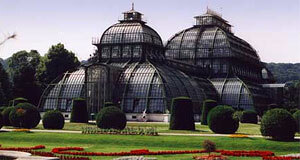 The zoo of Schönbrunn was built under the rule of Empress Maria Theresia - or rather her husband Franz Stephan of Lorraine - in 1752. Now sadly, whilst the zoo of Vienna managed to remain open throughout the centuries, the one of Salzburg was plundered and closed down by Napoleonic troops in 1800. The zoo - just like the court library, the interiors of the Residenz palace and many other institutions - was destroyed once the French and Bavarian troops had left. Only in 1961, it was re-opened, still making use of the historical structures at its base. Today, the evil Viennese use the little break of 160 years - nothing really in Salzburg terms - as an excuse to claim that their zoo is older. When Salzburg zoo was founded, Vienna was a village at constant risk of being turned into a Kebab restaurant by the Ottoman Empire, whilst Salzburg was called the "German Rome". That much about inner-Austrian rivalries. Actually, this article should give you an overview on zoos and wildlife parks in Austria in general. Until well into the 1980ies, Austrian zoos were pretty sad places, prisons for animals rather than anything resembling a modern zoo. In the past 25 years, things have changed for the good - at least in "official" or public zoos. Saying "official", I mean a zoo that is a member of the EAZA, the "European Association of Zoos and Aquaria" or similar networks that assure certain quality standards. Small, private zoos are often little more than animal freak shows on the edge of legality. Using the membership at EAZA as a mean to determine a respectable zoo, there are still several in Austria. The "Alpenzoo Innsbruck" in Tyrol′s capital has specialised on native animals from the Austrian alps. Therefore, it might be the most interesting one for international visitors; the Alpenzoo is a real gem in terms of breeding expertise with animals usually not kept in zoos. It is a great way of learning more about Austria′s Alpine flora and fauna. The previously mentioned Salzburg zoo was once internationally boycotted, as it violated rules against trade with Orang-utans in 1972. Today, it is one of Austria′s most modern zoos and participates in all sorts of exciting preservation programs, including rhinos and Prszewalski horses. It is part of the ensemble of the Baroque pleasure castle of Schloss Hellbrunn and its historic gardens. Around the corner, you find the Felsentheater, where the first opera ever performed outside of Italy was first heard by the Prince Archbishop and his court. In Salzburg′s city centre, you find the Natural History Museum of Haus der Natur - which has extensive aquaria and terraria, and is therefore a EAZA member. Further West, in Upper Austria, the zoo of Schmiding has developed from a former bird sanctuary. It is a recent member at EAZA and a private company, but an ambitious and impressive project nonetheless. Similarly, the Styrian zoo of "Tierwelt Herberstein" has developed from a private zoo (with help by the federal province) and is associated with the local (formerly noble) family of Herberstein - alongside with their castle. A real attraction is the combination of both castle and zoo, especially since the area is not terribly exciting otherwise. In Vienna, there are two institutions that are EAZA members: The previously mentioned Tiergarten Schönbrunn, the biggest zoo of Austria - I have described it in detail in a separate article. And the "Haus des Meeres", once again honoured with its own article here on TourMyCountry.com. Beyond that, Austria has several other wildlife parks, game enclosures and small zoos - like the one of Klagenfurt, one in Linz, in Haag and one in Wels. All rather small places.